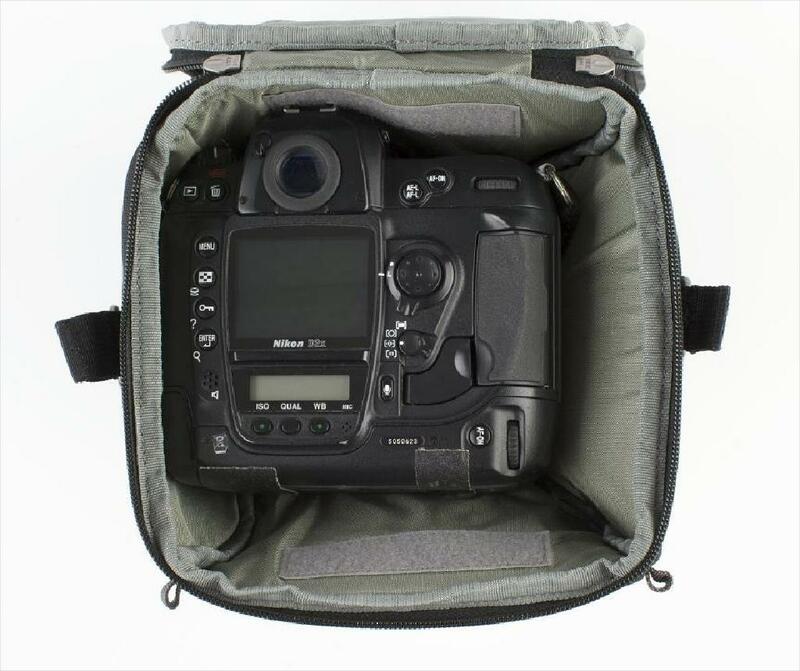 The Digital Holster™ 40 V2.0 is designed for pro size DSLRs such as the Nikon D3 series or the Canon 1D/1Ds series. 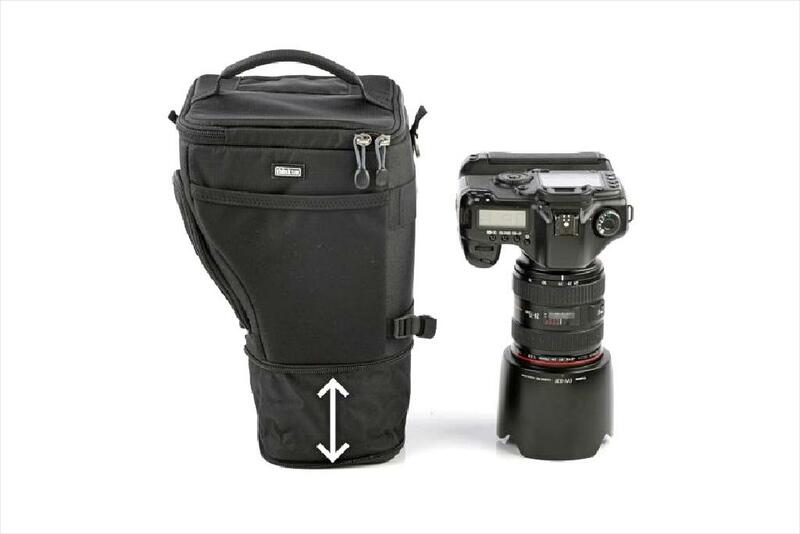 The shape of the bag conforms to the camera itself, with one straight side and one curved side. It can actually stand up on it's own!